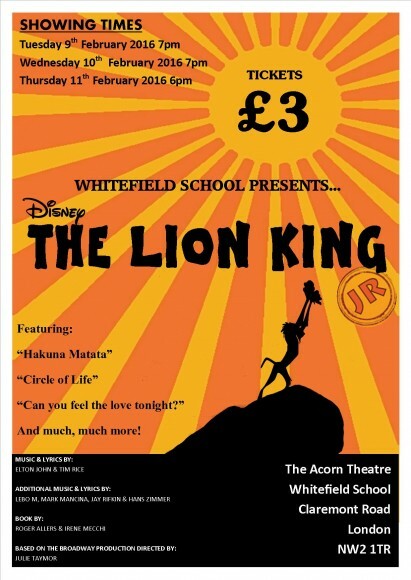 THE LION KING - Latest News - Whitefield School - Live, Learn, Aspire, Achive. Come and watch The Lion King at Whitefield School this February. Tickets available from Reception for £3 each.